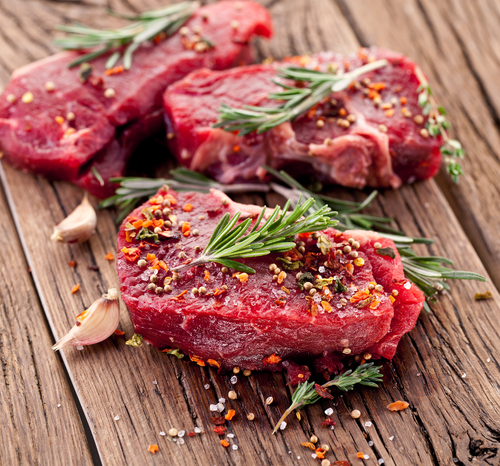 Grass Fed Beef – Healthy or Hype? With the keto and carnivore diets gaining traction over the last 5 years, we hear an awful lot about the benefits of eating grass-fed beef. But is all the hype just that, hype, or does grass-fed beef offer health benefits? A cow left to its own devices will spend its life roaming open pastures, feeding on grass. In fact, a cow wants nothing more than to roam and eat grass, because that’s what nature intended for it to do. Sadly, cows today are born and raised in horrible conditions known as “concentrated animal feeding operations” or CAFO. And these CAFOs do little in the way of providing a natural lifestyle for a cow. The objective of CAFO farmers is to fatten the cow as quickly as possible, usually by feeding them corn (completely unnatural for a cow to eat) and make some fast cash. Because the conditions of these CAFOs are horrible, with cows in close quarters, they often get sick. As a result, most of the cows in these operations are given high doses of antibiotics to keep them “healthy,” which generally doesn’t work. To make matters worse, in an effort to get cows to grow bigger faster (so factory farmers can make more money), the cows are pumped with hormones. In fact, a cow can grow an entire year faster with these hormones than cows that are fed grass. Sadly, it gets even worse. Just like humans, when cows get stressed they also release a cocktail of hormones like cortisol. Guess where all of these hormones, antibiotics and other toxins wind up? Now compare this to farmers who raise their cows on pastures. The cows are not stressed but are instead happy to roam free, eating a diet they were made to eat. They are not penned up in tiny areas and injected with all kinds of chemicals to keep them healthy, they simply are healthy because they live a healthy and natural lifestyle. The bottom line is, because grass-fed cows are raised in safer and more natural environments under strict guidelines, the quality of the beef is far superior, more nutritious and tastier compared to grain-fed CAFO beef. And because grass-fed cows are raised with extra care, free of hormones and antibiotics, the beef produced has a significantly higher amount of nutrients and healthy fats. What are the benefits of grass-fed beef and do they justify the higher price tag? Since there are roughly 3,500 calories in a pound of body fat… if you were to switch out regular beef for grass fed beef, you could lose about 5 pounds just from making this one change. That’s called having your cake, or beef, and eating it too! Grass-fed meat isn’t as fatty because the cows have eaten a natural food, not corn and God-knows-what (yes, there have been accounts of CAFO farmers feeding cows gummy worms and marshmallows to save money and fatten the cows). Less fat means less calories and weight gain for you. Grass-fed beef contains twice as much of the essential fatty acid called conjugated linoleic acid (CLA) as grain-fed beef. In a randomized, double-blind study, researchers found that 37% of people who were given CLA demonstrated better insulin sensitivity over those who weren’t given CLA. Better insulin sensitivity helps regulate normal blood sugar levels. While cutting out carbs and eating more protein and fat is a great way to reverse type 2 diabetes, eating grass-fed beef could definitely give you a leg up on stable blood sugars. That CLA does more than “just” help to normalize blood sugars. CLA is considered to be one of the best nutrient defenders against cancer. A study conducted on women who were provided high amounts of CLA-rich foods had roughly a 60% lower risk in breast cancer over those who had little to no amounts of CLA in their diet. And, further research done on laboratory animals found that small amounts of CLA – less than 1% of daily caloric intake – provided a reduction in tumor growth. Besides CLA, grass-fed beef contains other omega-3 fatty acids. In fact, the levels of fatty acids found in grass-fed beef are normally reserved for cold water fatty fish such as salmon and sardines. Alleviates rheumatoid arthritis pain and stiffness. Helps fight depression and other mood disorders. Helps you focus and lift brain fog. Reduces symptoms of ADHD in children. 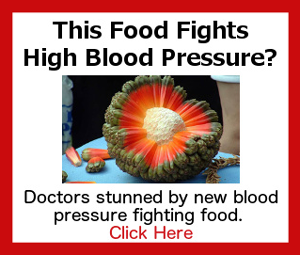 Reduces symptoms of metabolic syndrome. And, because the majority of the brain is made up of fat, consuming more healthy fats can help relieve several neurological disorders. With more and more consumers demanding humanely-raised grass-fed beef, supermarkets across the country have begun stocking their meat departments with alternatives. If your store does not carry grass-fed beef, reach out to your local farmers or do a Google search. You’ll find websites like Butcher Box and US Wellness Meats offer grass-fed and grass-finished meats shipped right to your door. Switching to grass-fed beef can do wonders for your health. Not only will you eat fewer calories, but you also support the humane and proper treatment of animals. The additional CLA and other healthy fats definitely makes grass-fed meat a superior choice. Having said that, grass-fed meat does cost more, and for some people it may just not be affordable. Our advice is to do the best you can do. Find ways to save money on food each month so you can put it toward healthier meat. For instance, you could eat eggs a couple of nights each week to save some money. Free-range eggs are healthy and delicious. And stop spending money on Starbucks and other treats that aren’t good for you anyway. Looking for an affordable way to get in those essential fatty acids? Our DuOmega 3&7 offers not only Omega-3, but also omega-7, which studies have shown is critical for heart health. So, you get two important fatty acids for the price of one.